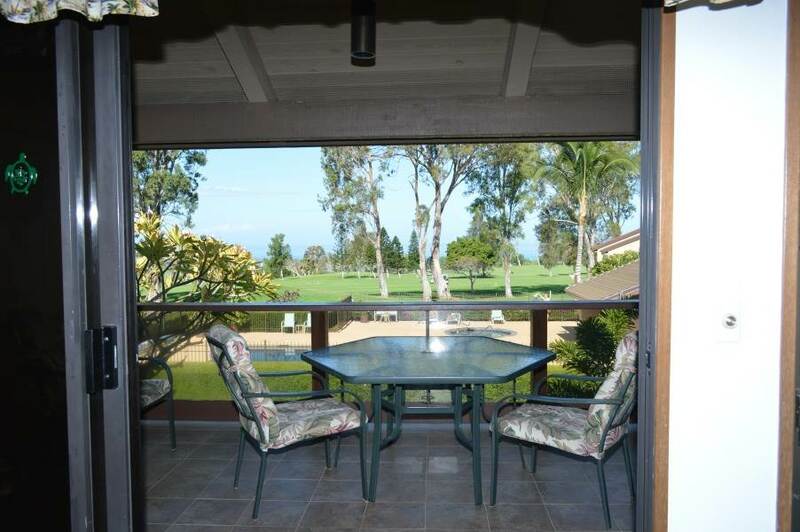 "Enjoy sunsets and golf course views from this well-appointed Waikoloa Villas condo. 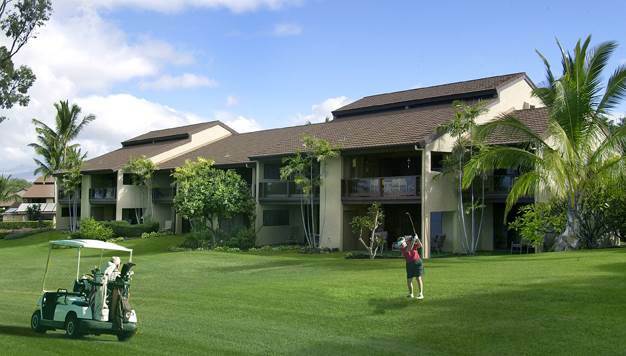 Overlooking the 9th fairway of the Robert Trent Jones designed Waikoloa Village Golf Course, this condo complex has two pools and is cool and quiet. 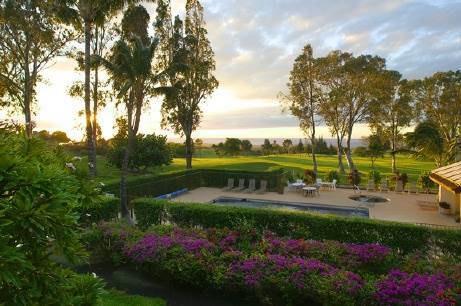 The perfect getaway for your Hawaii vacation. Rent with us and get discounted golf rates at the village course. 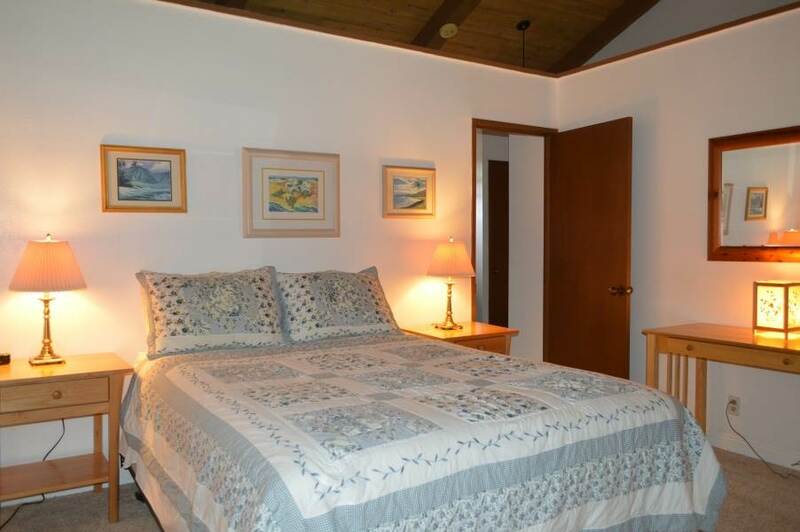 This condo has all the comforts of home including high-speed Internet access. 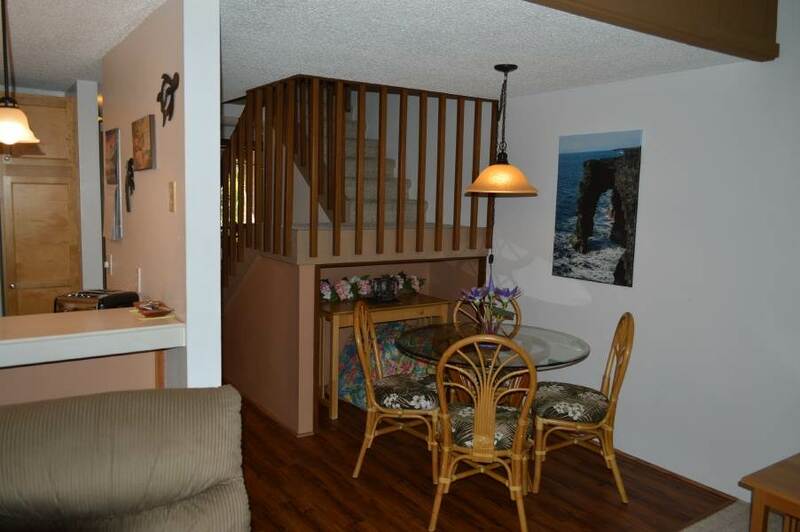 This complex is about a 15 minute walk to the local grocery store and restaurants. 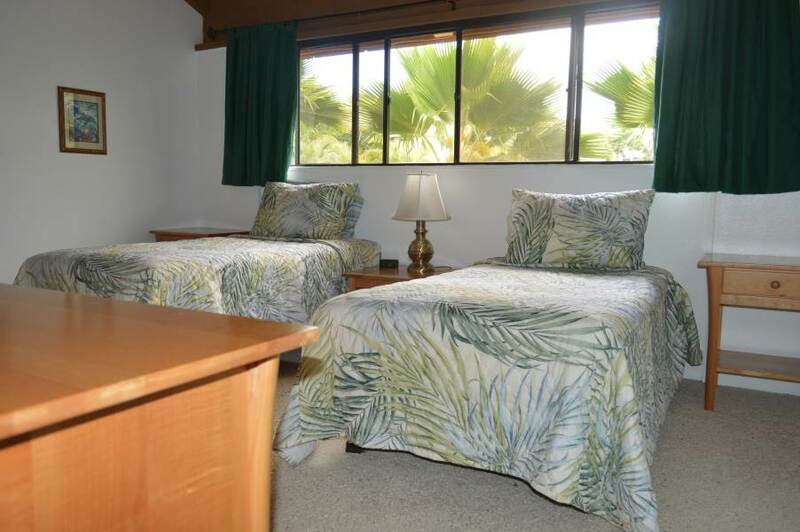 Just 10 minutes from the beach at A-Bay at the Waikoloa Beach Resort, this condo gives you a great location at a great price. 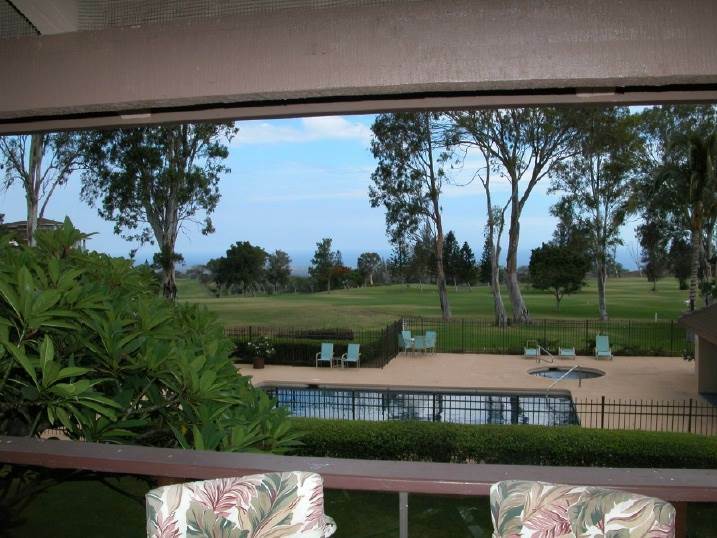 This nice 2Br/2Ba condo has beautiful golf course and ocean views. 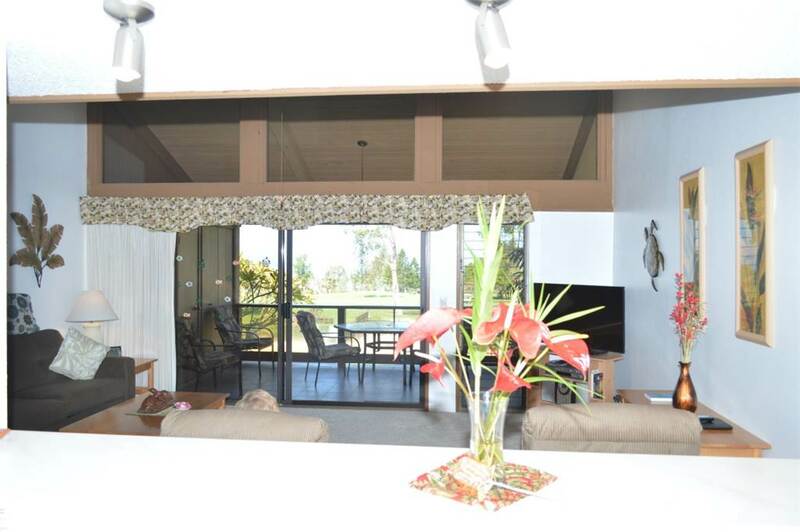 Watch the sun set from your lanai as you sip on a cool Mai Tai after a day of golf or at the beach. 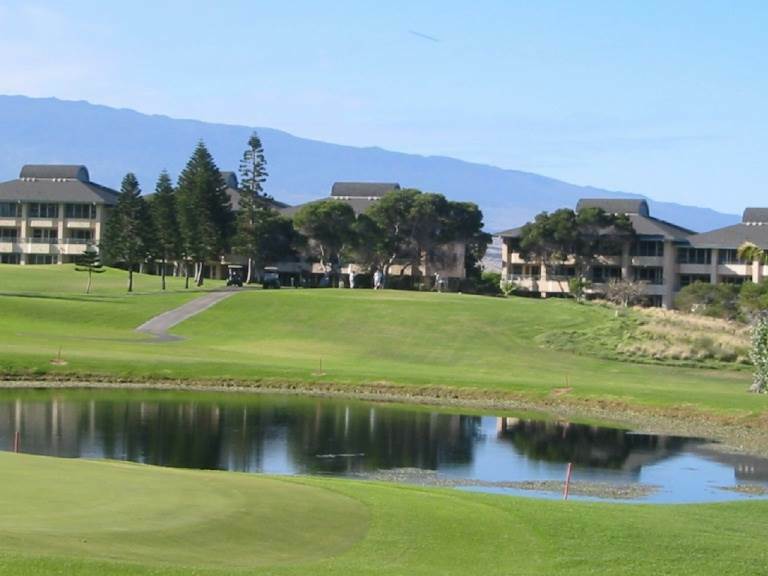 Waikoloa Village is located at about 1000 feet elevation and is just minutes away from some of the best beaches in all of Hawaii. 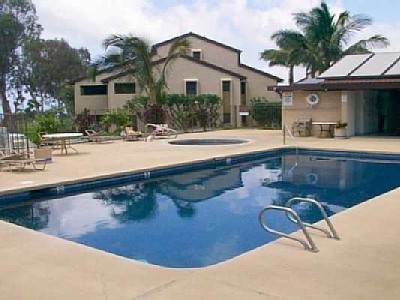 This complex is very quiet and one of Waikoloa's most popular condo complexes. 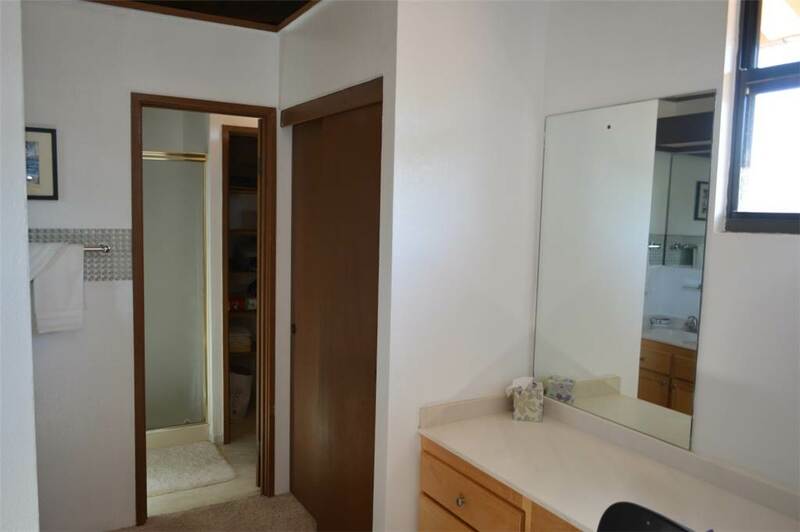 This unit is a great value for a family and can sleep 6 people in two bedrooms and a sleeper sofa. 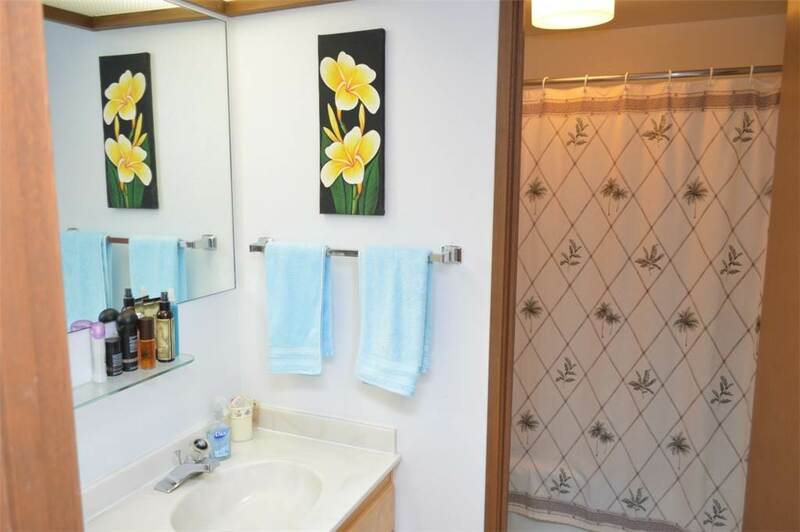 The condo is conveniently located close to shopping. 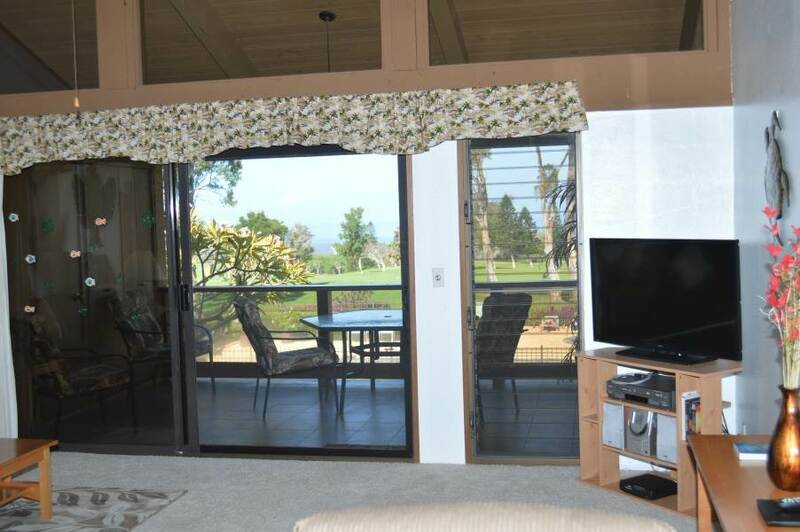 And, included with your rental of this unit is a discount for golfing at the Robert Trent Jones course located in Waikoloa Village. 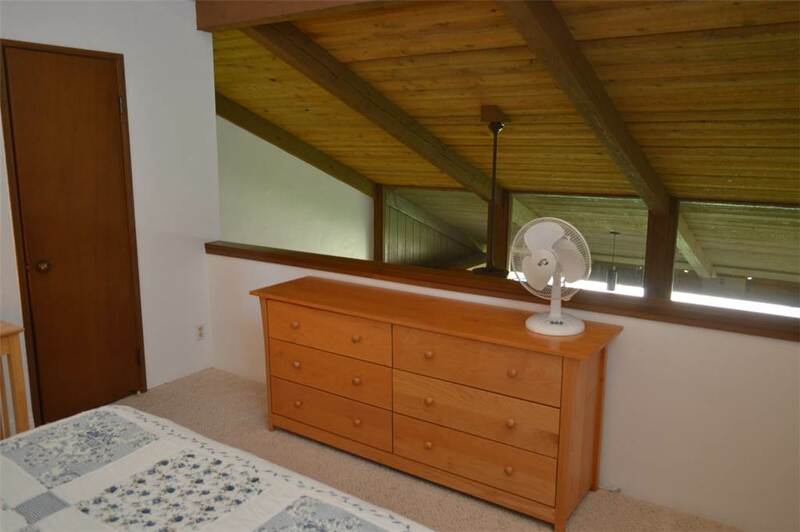 This 1157sqft unit is a 2-level on the second floor with it's own private lanai just off the living room. Inside you can easily seat 6 for dinner with seating at both the bar or at a dining table for 4. 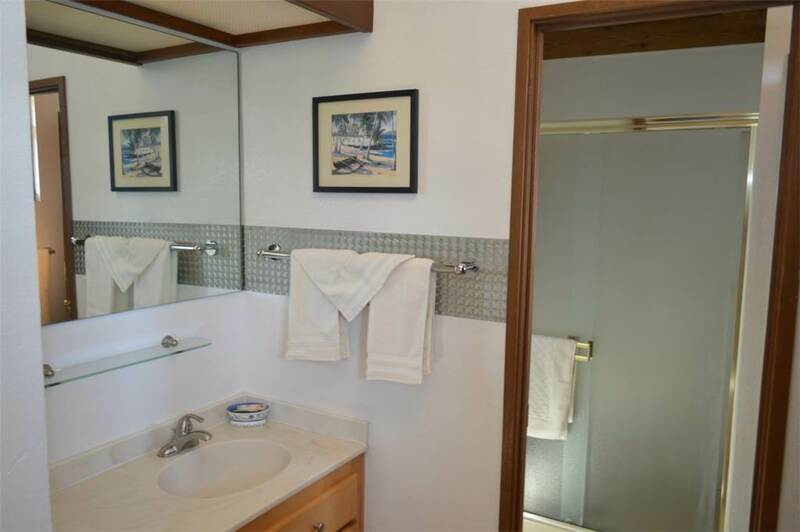 The master bedroom has a queen bed and private bath. 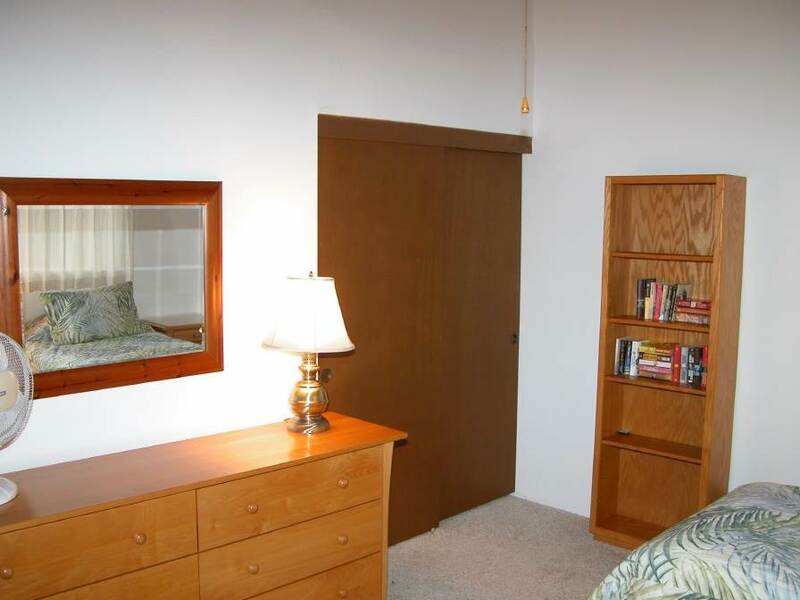 The second bedroom has 2 twin beds that can be put together for a King - if requested.. 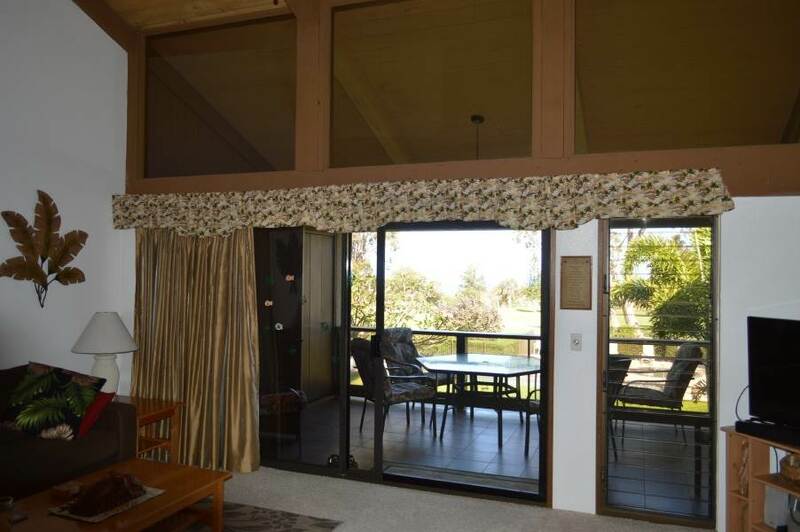 The large living room is bright and airy with a sliding door leading to the lanai. 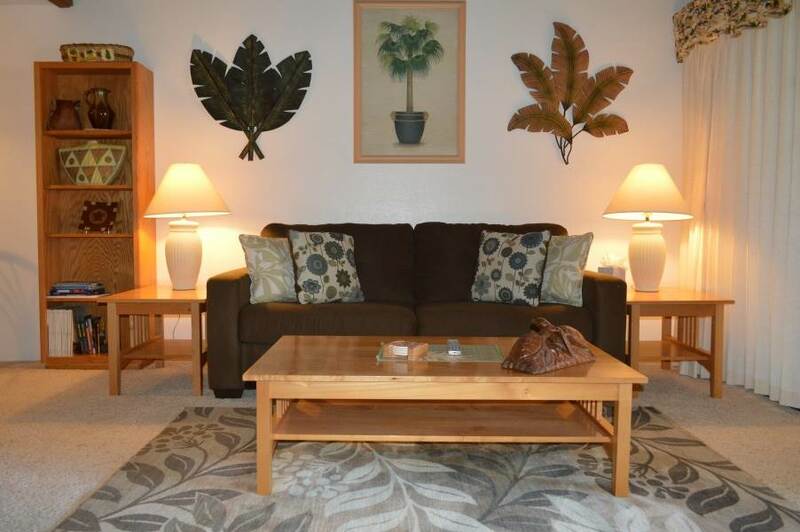 There is a complete entertainment area set up for your enjoyment--TV, cable, and CD player. 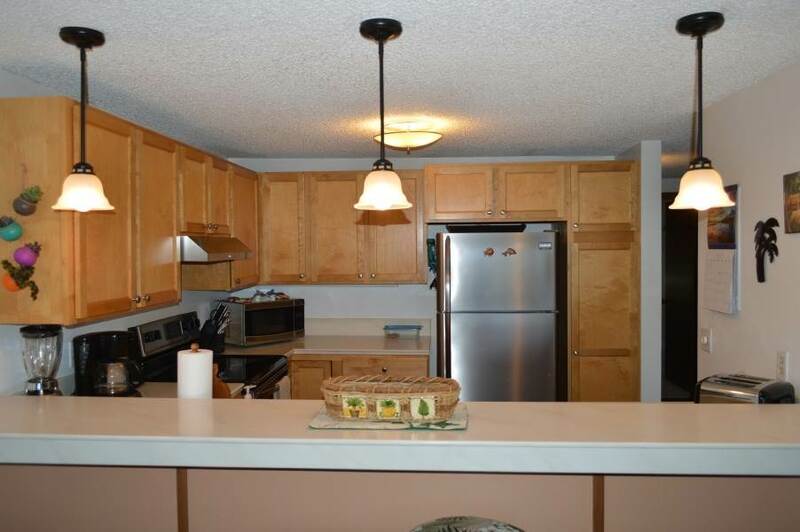 The kitchen comes complete with everything you'll need: microwave, coffeemaker, blender, pots & pans, dishes, silverware and linens. Finally, on the grounds is a private pool only for residents of this complex. 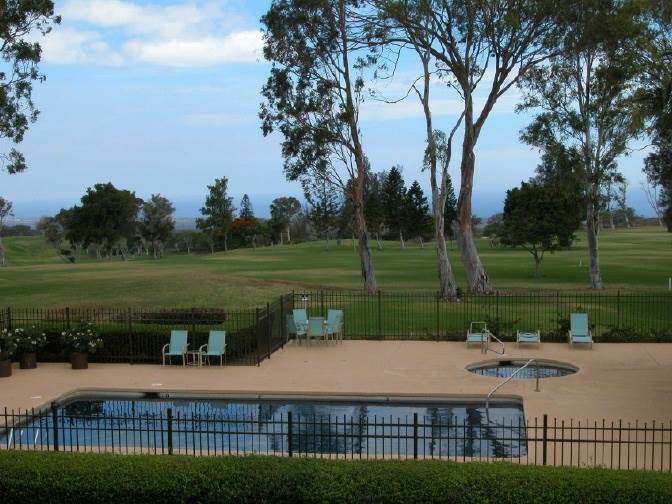 Cool off in the sparkling blue water or soak up the sun on a lawn chair. 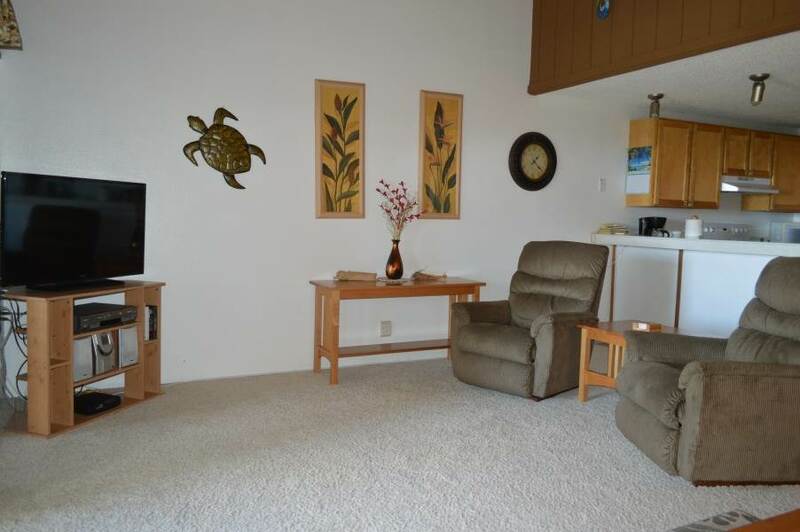 Or, take a quick 10 minute drive down to the beach--the owners have supplied this condo with a cooler for your enjoyment. If you've never been to the Big Island, you haven't been to Hawaii! 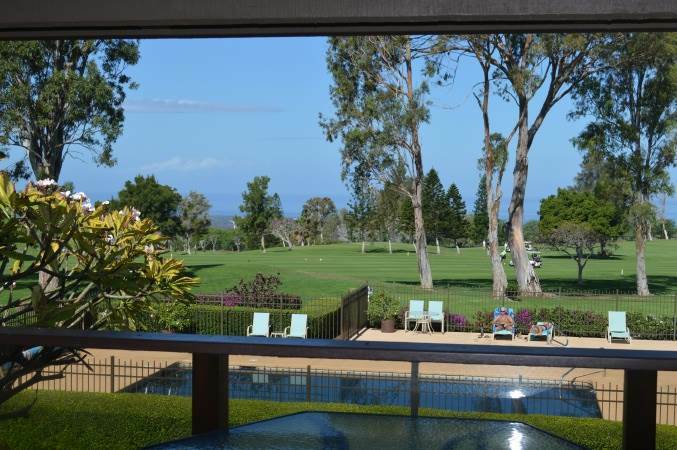 The Kohala Coast (west side of The Big Island) is world renowned for it's sunny tropical weather that shines down on an awesome variety of landscapes. What can you do on the Big Island? Well, how about surfing, snorkeling ,boogey boarding, sunbathing, swimming with Dolphins, walking around lava, gazing at the stars from where two of the world's most famous observatories are located, hike through a tropical forest, play golf on world championship courses, or...you can just kick back and do nothing! Amenities: There's a Sparkling clean pool with a lounge chair just waiting for you. 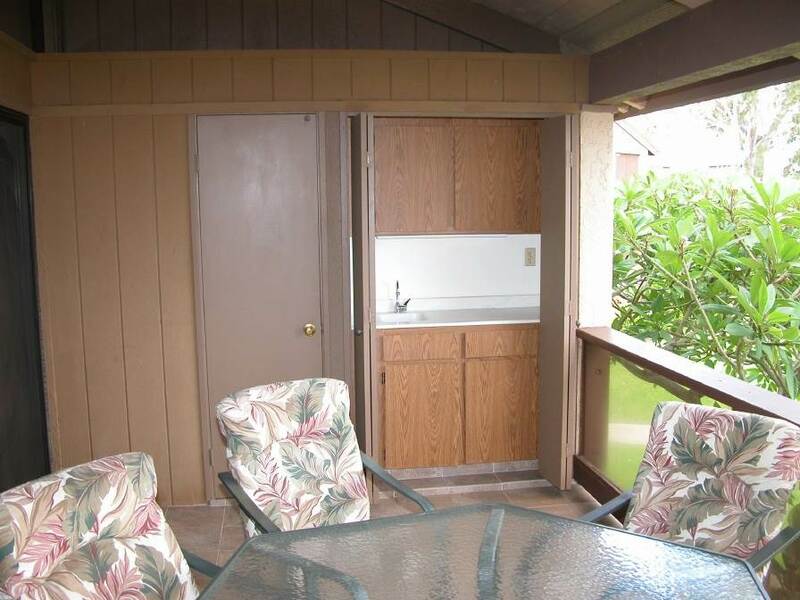 Private lanai off living room Washer/Dryer in unit Complete kitchen set up set to go Beach gear includes towels, chairs and ice chest. Cable TV with VCR and DVD player This is a ""NO SMOKING"" unit Activities: Wow...where to start??? How about: Golfing on World Championship courses Tennis Swimming Snorkeling Deep Sea Fishing Hiking Kayaking Whale Watching Wind Surfing Luaus Sailing Scuba Diving Hiking Surfing Waterfalls Volcano Watching TAT License #: TA-003-163-1360-01"